Back when I was brand new to chicken keeping, my flock was the most entertaining and inspiring thing I’d ever invested in. I devoted way more time than I should probably admit to watching them, discussing them, researching them, sitting with them, talking to them, and planning how I could increase their numbers. The excitement of a new chicken owner is totally insane. But seven or so years later, they’re just chickens. I don’t mean that to be crass or uncaring. I just mean they’re part of everything else in our life, lumped into one hectic, ridiculously chaotic mass. The ingredients for our life are now labeled Everything We Have To Do. Directions? Toss in blender. Puree. Dump into bowl. Smear on calendar. You know what? It’s been a long time since I just went out and sat in the yard with my chickens. I used to sit with chickens and feel the grass tickling the underside of my cross-legged lap, watching the chickens get braver and closer until they’d take the treat I’d brought with me from my fingers. They’d sit next to me and make happy noises. We’d sprawl out in the sun. I’d look at the sky and contemplate life and ponder, with an exhale of deep contentment, how awesome my newfound simple life was. All these years later, I’m the proud owner of a big red barn, more chickens than I can count, pigs that run around their pasture like dogs, and gardens sprawling over more square footage than my house. This simple life? This life where we would get away from it all? Where somehow because the daily to-do list was “fulfilling”, we’d melt away into peaceful oblivion? It’s still busy. We still meet ourselves coming and going, it’s just that the things we’re doing in the middle look different. Life, whether simple or not, fills with the required tasks of said life. It gets busy. Busy becomes normal. Normal becomes unappreciated. We do this with everything, though. Babies. Husbands. Houses. Puppies. Jobs. What starts off as a magical adventure becomes an everyday part of life that we rush by. We’re comfortable with the fact that life happens and continues and goes on—rinse and repeat until the end of our time. And all this time, my chickens keep pecking around the yard. I give them food and water and hope they come in at night. I grab the eggs they give me like it’s nothing—those same eggs that as a new chicken owner, I checked for a gazillion times a day, because the whole concept that I could walk out to the chicken coop and collect a miraculous oval of awesome for my breakfast completely floored me. Now it’s just normal. It’s everyday stuff. Things happen and we don’t see them happen. I mean, we see them happen, we know they’re happening, but we don’t look. We don’t see. We don’t care. That’s what I’m saying. Do we care? And if we do, how would anyone else know? And I know that life changes. I get that what we spend our time on morphs into familiarity. I understand that life looks different as we move through its time and space. We grow up, we get older. Things are less of a big deal. But it’s been a long time since I sat with my chickens. This is the part they don’t tell you—that the things we love and obsess over will someday become just another part of the process of getting through the day. And while comfort and familiarity are good, they often skew our perspective. We generally know more the longer that we do something, but are we actually wiser? Sure, we get better at it, but do we appreciate the improvement? It’s like the realization that we speed through pages of type when we used to stop for every single word, sounding them out and feeling their shape in our mouth before they tumbled over our lips. Is magic as magical if it happens every day? I used to sit with my chickens. The barn stands there, stoic and majestic, whether I take time to sit with the chickens or just toss food to them and run to the next thing. I wonder what she thinks. The hayloft windows, like two eyes set on a red wooden face, have been witness to everything—my transformation from inspired farm girl ready to take on the world to a gal with a farm who is just as busy and confused and worn out and stuck between knowing and not knowing and failure and success as every other person on this earth. Chickens are simple. They want sun, a dust bath, bugs, and clean water. Humans are infinitely more complicated. We want everything. We joke about chickens having pea sized brains, but I sometimes wonder if our bigger brains just cause us bigger problems. You’d think a part of creation with such a large brain would be better at appreciating the blessings of every day. The egg the chicken lays. The seed that busts through the ground. The sunrise that happens every. single. day. Why can’t our giant brains grasp this? Why do we constantly have to be reminded to stop and look and feel and see and love? And so today, I shut down my computer, I turn off my phone, and I put away my work. I grab the heel from a loaf of bread. I walk outside and I find a spot of grass and I sit. Because it is good to sit with chickens. I guess it doesn’t matter where you are or what you are doing, if you are not present in the moment you are missing out. We all have things on our mental to-do list but crossing things off that list is so much more enjoyable when we take a few minutes to focus on what we are doing. With that being shared, I’m headed out to watch my new Momma Hen teach her babies how to scratch in the dirt. Thank you so much for this awesome post. I laughed more than once and then it made me think. Excellent perspective! I’ve been raising chickens for about 6 years. We started Rhoda’s. Then Auracanas, now we have Barred Rocks. It’s amazing how much they differ in personality but it’s even more amazing how intelligent they are. I also liked just sitting outside with them. Right now we have one auracana left and she is such a sweet heart. She even knows her name. A red-laced Wyandotte that showed up at our yard from up the road, she also knows her name. They don’t forget when you share a special treat with one in a special place they will go there again expecting that treat again. My Rocks are bully’s especially the roosters and they are large so I had to designate a private spot for my auracana and she goes to that spot every morning. So they may have pea brains but they are not stupid! I am scrambling every minute of every day to get every thing done. Today, I’m cutting down my Must Be Done Now list, and I’m going to sit with my ducks and chicken. Thanks for reminding me. Love it, just love it! This is too true. I do like to think that all the rush and go makes the few times we can stop and feel the world around us all the more special and desirable. 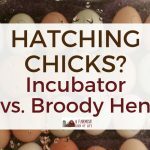 Beautifully written, I’m currently in the new chicken owner phase where I watch them day in and day out and collect their eggs several times a day and thank them. You are right though, it’s so easy to forget the excitement that once was there and how often we allow things to just become routine. This reading is so much more than chickens… thank you. Very refreshing, loved this story. What a fine, wise post. I wholeheartedly agree ! I sat with my chickens and ducks today. They are still just as wonderful as when I first started raising them. Thank you for your lovely heart! I ran across this post today….made me tear up because this is SOOOOO my story! I love my chickens and I’m going to get in the grass and just let my chickens cluck around telling me how sorry I am that I haven’t done this in so long. Very well written! This article is so accurate to describe today’s world of rushing around, and not noticing the moments that bring joy in your life! It truly is the little things….this story can make a huge difference in the world to so many! Please make sure they get the opportunity to read it somewhere else, too! You have superb writing talent! I fell in love with chickens ten years ago! I named them, and they would run to me when I came outside! They truly are smart, and bring a lot of joy! What a lovely post. Thank you for the reminder. I’ve had my girls for just about a year now I sit and I even read aloud on a folding chair in their coop . Very curious creatures my girls are it’s quite amusing when all 7 of them try to get on my lap at one time . Thank you for your post , I can truly relate. Awesome post!!! I will for sure go sit with my girls today! I enjoyed your ruminations. You sound like a very in tune person actually. We all wander but we don’t all refocus and return. You did! Congratulations! I sit with my chickens and feel so blessed. They are so beautiful to me and each has his or her own personality, likes and dislikes. They seem to appreciate me in their own way. Can’t say as much for many humans I know. Beautifully written!! I love to sit with my chickens!! Love this gushing from the heart! I have had my girls for a year now but unfortunately lost one yesterday to I don’t know what. They free range and Ruby never made it home. But they have given me and my 4 year old granddaughter so much joy. When she helps me gather the eggs she thanks the girls by name like she knows which one laid which egg. I really do enjoy them and would recommend them to anyone. Lovely article. Just recently got chickens so the excitement and newness is exactly how you described it. 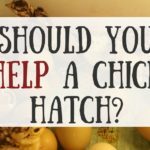 I’m a stay at home mom and homeschool our six year old son who is becoming quite the chicken farmer. It’s amazing to sit and watch how much these silly girls love and trust him. I’m a new chicken mom of 6 months, best thing I’ve ever done! My girls are truly my best therapy. I’m feel more peace and contentment than I did sitting in my meditation garden. I try to sit with them 3 to 4 times a week. You expressed my thoughts and feelings beautifully, thank you. I hang chicken oil paintings for them in their little chicken house. Not sure if they appreciate it but I think the eggs are better when art is involved. I came home from a long day of work and the same thoughts go through my head everyday. ” The girls need some time out since they’ve been cooped up all day.” As I came across your blog I thought That’s so true about the everyday things we take for granted used to be exciting! Wouldn’t you know our newest hen that we raised since she was a chick decided to lay her first egg today! That God for miracles everyday! Enjoyed your story! How true it is…. about most things actually, that it’s enchanting in the beginning, then becomes routine. I still spend time with my girls as much as I can when the weather is nice however. I never tire from listening to them talk softly to me, or them jumping up on the arm of the lawn chair to see what I might have for them. I’m a lot older than you and great grandkids have replaced kids, so I have much more time to stop, look and listen. So, sit with your chickens… and children too! I started out with 3 hens a neighbor gave me. My husband built a coop that looks more like a playhouse. So I’ve had chickens for about five years now and I still really enjoy sitting out there watching them. Listening to them. While out there this morning I greeted the geese who are spending some time in one of our fields. Then I heard the calls of Sandhill cranes and then a small flock flying in the direction of the calls. Then, lo and behold, a doe and a little one bounding across another . So happy to be alive! I love this. It’s easy to let something so simple get away from you. I love hanging out with my chickens! Ah! This made me emotional and teary! Beautiful and simply written. I’m about to embark on chicken life here in the next few months I’m terrified and excited at the same time. I find it a miracle that I’ve been able to raise for people but I kill plants. Not because I try but because I’m me. So if I happen to be able to keep the chicken safe and alive for a good while it’ll be a miracle as well. The life and moments you describe there seem like buttery bliss to me and i look forward to the once exciting to become the mumdane baser part if my life. I firmly believe that its un those things, and I include raising children being a mother and wife in that , that we experience God in the most powerful ways. Whats he creates and why. Thanks for sharing! thanks for the reminder. you are spot on. we look but don’t see. excuse me, I have to go sit with my chickens for awhile. I really liked this article. I used to sit with my chickens too. 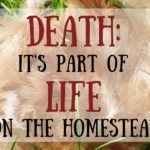 My dad died this summer…and I’m starting to sit with them again after I come home from my stressful day as a third grade teacher. I sit there in the Adirondack chair just outside their run, open the door, get a handful of meal worms or blueberries and coax them close. The brave girls hop up, the newer silkies ponder and hope the brave ones spill some. I laugh and know my dad would laugh, then I cry and treasure that I had a dad who enjoyed what I do…or vice versa. My chickens feed my soul a bit each day. Their clucks when I bring them breakfast and their silly hops at each other and mad dashes to wherever one spots something new. I wish you many moments sitting with yours. I’ll think of you next time I do! Bless you. I enjoyed your onsite and share your thoughts on sitting with the chickens. I am a new chicken mom and still learning My chickens are 4 months old and I sit with them every day. Too young to lay eggs but they greet me when I go to the back yard and I have a young roo who will follow me until I sit then he will jump on my lap for me to pet him. You are correct in the therapeutic benefits of just chillin with the chicks. You’re so right. Unless it’s a giant commercial operation, taking time to sit with and enjoy your flock is definitely time well spent. I keep my girls in a large pen with a top most of the time because hawks are really terrible here, but if I’m doing something outside I’ll let them out for a “supervised” run. They really love it, scratching for bugs … and actually finding them, which of course they can’t do in the pen, as they’ve long since cleaned any that may have been in there out. And since I only have 16, it isn’t too hard to herd them back in…a little scratch grain thrown in the pen helps! Mach’s gud un bleiw bauerisch! Until next time, stay farmish!